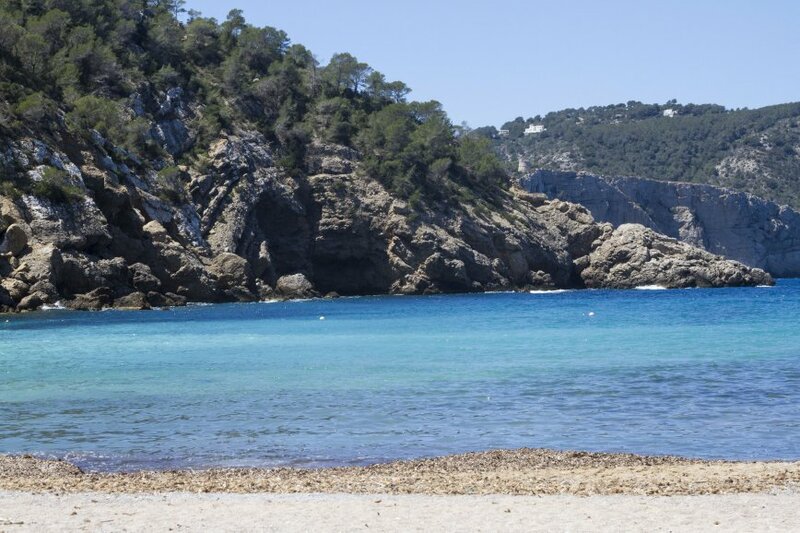 Today a strange phenomenon occurs on the shores of Benirras beach. 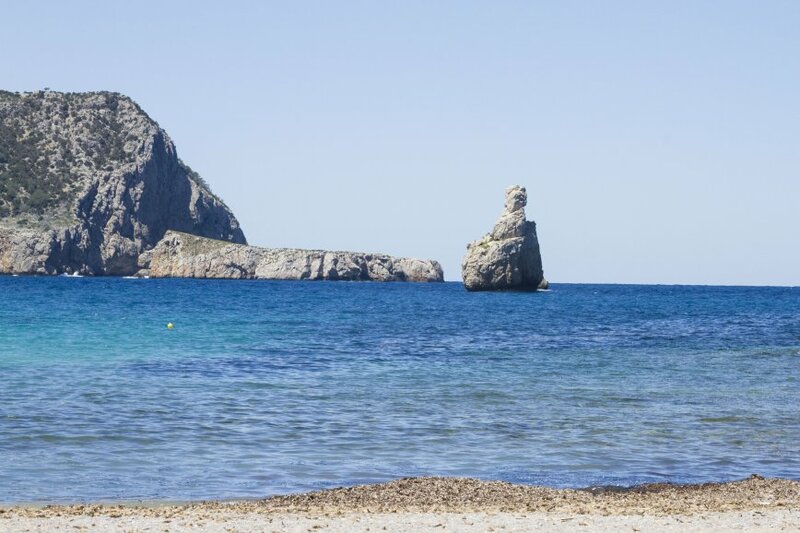 This special beach already famous for its sunsets, its rock in the shape of a God’s finger and its strong energy, is today coloured in blue. 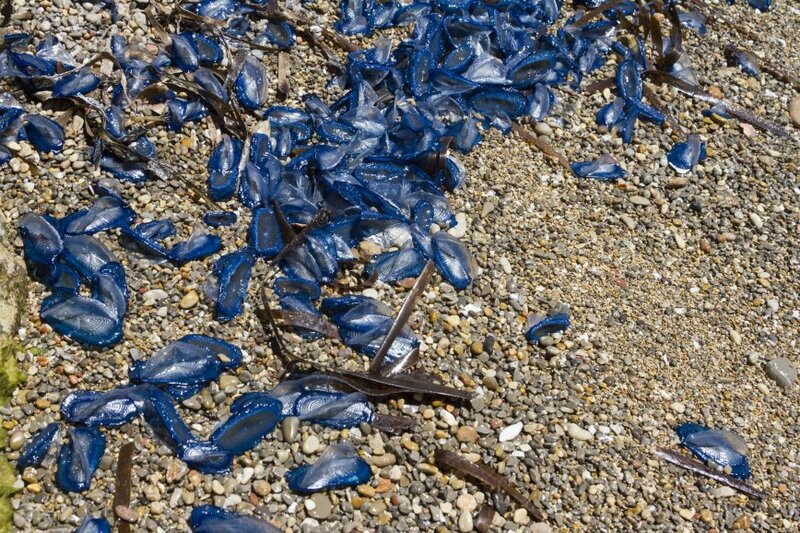 The Velella Valella, also called The By-the-Wind Sailors, came to visit us… and there are millions! 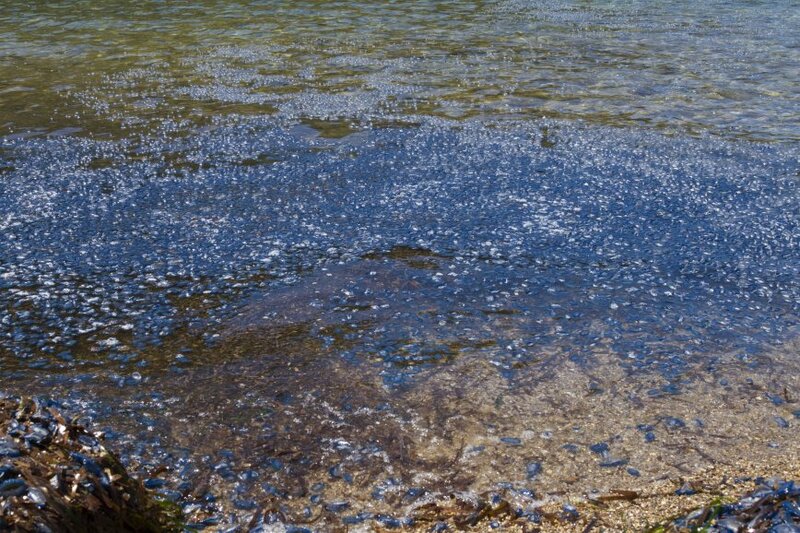 They resemble jellyfish but they are actually a floating colony of polyps. 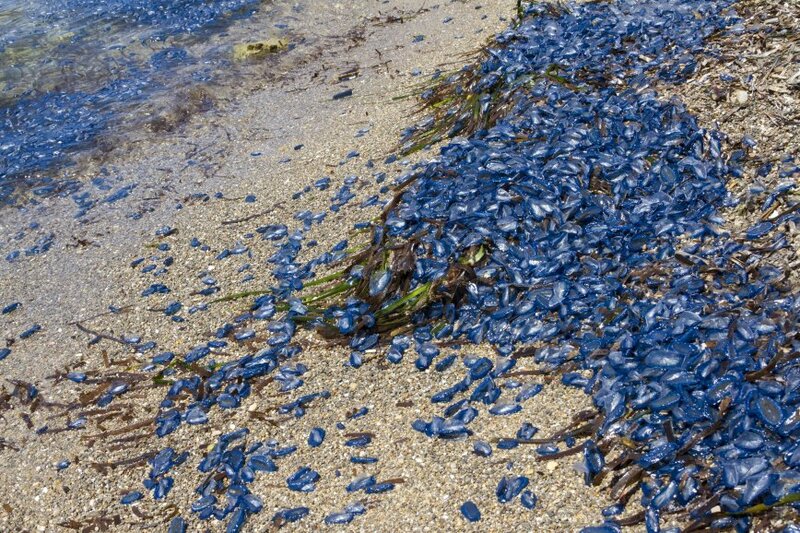 They are typical of the Mediterranean Sea and travel in large groups. 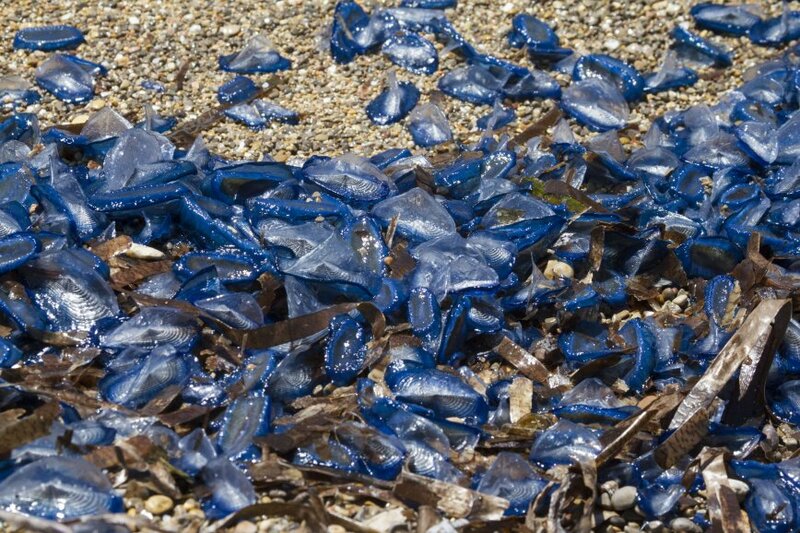 These gelatinous bodies roam the open sea and if pushed by the wind towards the coast, they end up on the coastlines, giving them a characteristic multihued blue colour. The show is amazing to see but it intimidates me a little. 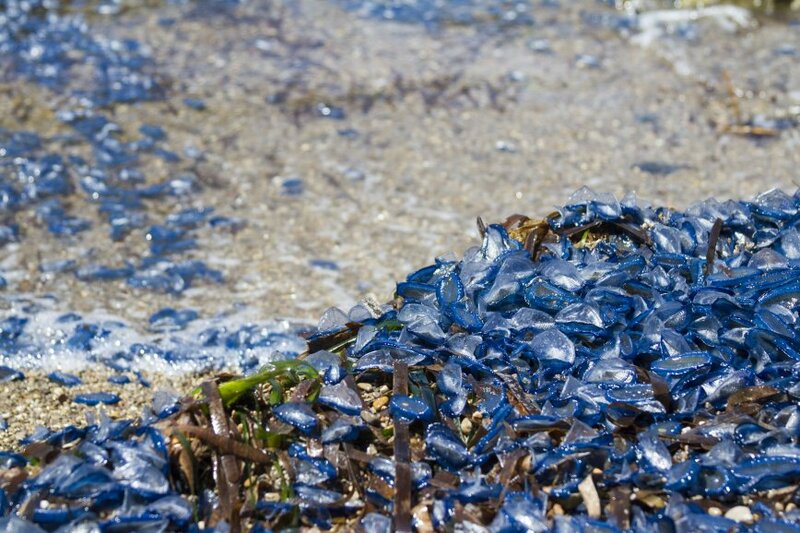 We check it out and read that they are actually harmless. Knowing that I still determine that I would not stroke them, nor would I touch my eyes if I ever accidentally touched them, indeed it is probably best to observe them from afar, from up on the dock, protected but still fascinated! 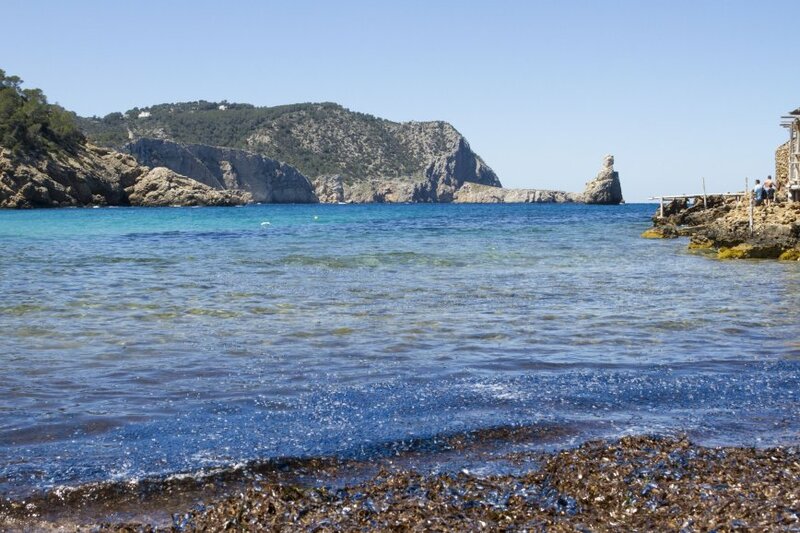 Ibiza is a land of wonders, colours and stories.